TOKYO -- The Japanese government announced Tuesday that it will spend $470 million on a subterranean ice wall and other steps in a desperate bid to stop leaks of radioactive water from the crippled Fukushima nuclear station after repeated failures by the plant's operator. The decision is widely seen as an attempt to show that the nuclear accident won't be a safety concern just days before the International Olympic Committee chooses between Tokyo, Istanbul and Madrid as the host of the 2020 Olympics. 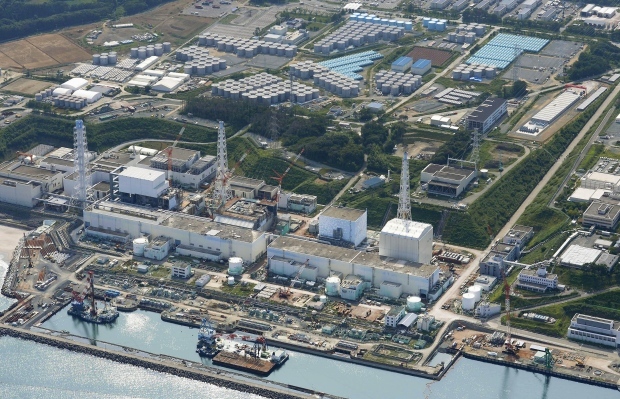 The Fukushima Dai-ichi plant has been leaking hundreds of tons of contaminated underground water into the sea since shortly after the 2011 earthquake and tsunami damaged the complex. 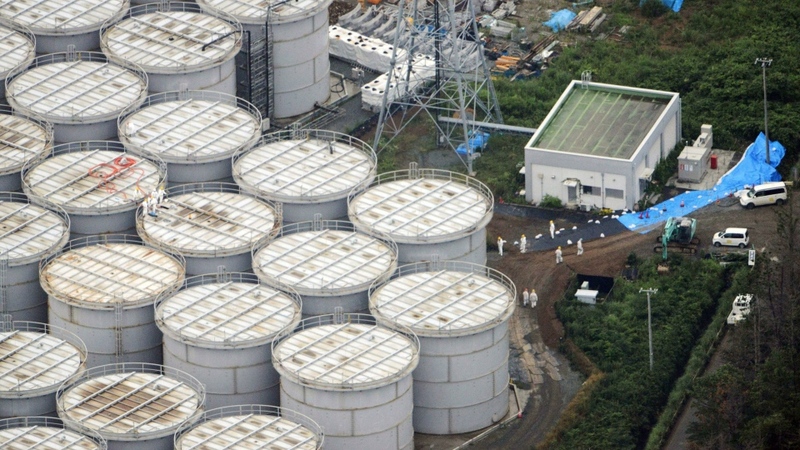 Several leaks from tanks storing tainted water in recent weeks have heightened the sense of crisis that the plant's owner, Tokyo Electric Power Co., isn't able to contain the problem. The government plans to spend an estimated 47 billion yen ($470 million) through the end of March 2015 on two projects -- 32 billion yen ($320 million) on the ice wall and 15 billion yen ($150 million) on upgraded water treatment units that is supposed to remove all radioactive elements but water-soluble tritium -- according to energy agency official Tatsuya Shinkawa. The ice wall would freeze the ground to a depth of up to 30 metres through an electrical system of thin pipes carrying a coolant as cold as minus 40 degrees Celsius. That would block contaminated water from escaping the facility's immediate surroundings, as well as keep underground water from entering the reactor and turbine buildings, where much of the radioactive water has collected. Similar methods have been used to block water from parts of tunnels and subways, but building a 1.4 kilometre wall that surrounds four reactor buildings and their related facilities is unprecedented. An underground ice wall has been used to isolate radioactive waste at the U.S. Department of Energy's former site of the Oak Ridge National Laboratory in Tennessee that produced plutonium, but only for six years, according to the MIT Technology Review magazine. 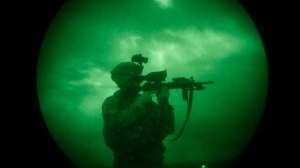 "We still need a few layers of safety backups in case it fails," Marui told the Associated Press. "Plus the frozen wall won't be ready for another two years, which means contaminated water would continue to leak out." Marui said additional measures should be taken to stop contaminated water from keep travelling under the seabed during that time and leak further out in the sea. TEPCO has been pumping water into the wrecked reactors to keep cool nuclear fuel that melted when the March 2011 earthquake and tsunami knocked out the plant's power and cooling system. The utility has built more than 1,000 tanks holding 335,000 tons of contaminated water at the plant, and the amount grows by 400 tons daily. Some tanks have sprung leaks, spilling contaminated water onto the ground. After spending on the ice wall, the remainder of the public funding -- 15 billion yen until March 2015 -- will go to the development and production of a water treatment unit that can treat the contaminated water more thoroughly and by a larger volume than an existing machine, which is under repair after corrosion was found during a test run. The leaks came at a worst time as Tokyo headed into the final days of the contest to host the 2020 Summer Olympics. With anti-government demonstrations plaguing Istanbul, Turkey's bid and a recession and high Spanish unemployment hanging over Madrid's candidacy, Tokyo is pushing its bid as the safe choice in uncertain times.